The Harriet L. Wilkes Honors College held its 17th Annual Symposium for Scholarly and Creative Research on March 5. More than 50 students gave oral presentations and fielded questions from the audience. 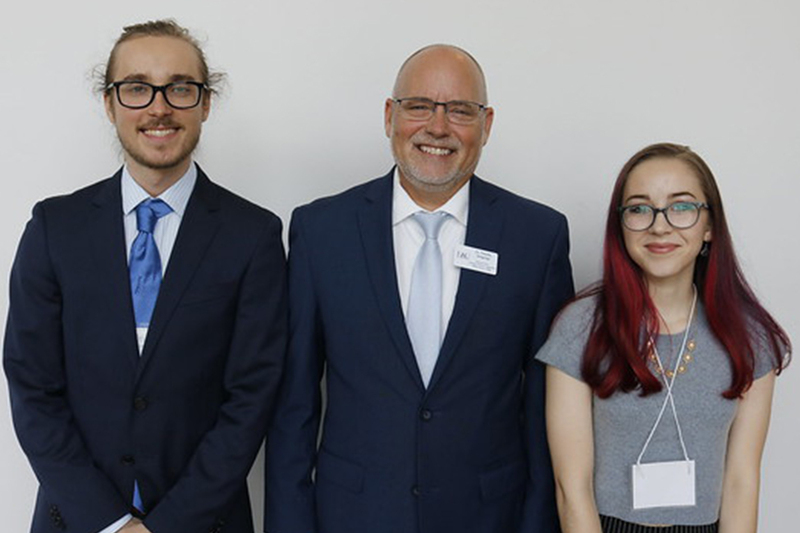 Thirty-five students presented their visual arts creative research, and about 50 students showcased their research and collaborations with Honors College faculty during the poster presentations. The event is a celebration of students academic achievements. David Sun Kong, Ph.D., director of MIT Media Lab's Community Biotechnology Initiative presented, "Can Hip Hop Save Biotech?” as part of the Chastain Honors Symposium Lecture Series.